Review: With You • Tips, Trends & News in 60 Seconds or Less! 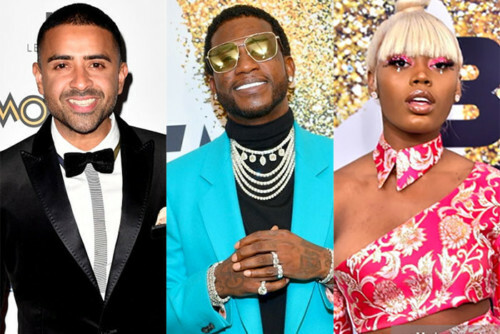 The infamous “Down” singer Jay Sean is back with a new single, “With You,” featuring acclaimed artists Gucci Mane and Asian Doll. The artists all have very distinct personalities when it comes to the song: Sean reminisces on a relationship he wanted to work out, Mane reflects on his relationship with a chill approach, and Asian Doll hypes herself up with her badass energy. The absence of a common theme makes the song seem a bit lackluster and confusing, but the topics are connected just enough for me to overlook it. From the get-go, the production distinctly reminds listeners that it is a Jay Sean song; Sean utilizes his favorite chords on both piano and guitar to create the same vibe he always gives. The South Asian singer’s voice fades in as soon as the beat drops, transforming the song from soft-spoken to upbeat. As soon as Gucci Mane hits the track, the hype really begins. Mane and Doll’s energy combined with Sean’s chillness creates a nice contrast; it switches up frequently enough to keep listeners engaged but not overwhelmed. Overall, “With You” was a great choice on Sean’s part as his first single of 2019. Collaborating with Gucci Mane and Asian Doll, as well as staying true to his original sound is sure to bring him some success. Although I do think “With You” is an entertaining song to play, I also believe that Jay Sean could’ve picked a more cohesive song as his first release of the year.